Have you seen the article in VISI magazine about our greenhouse? Click here to see their beautiful photographs. 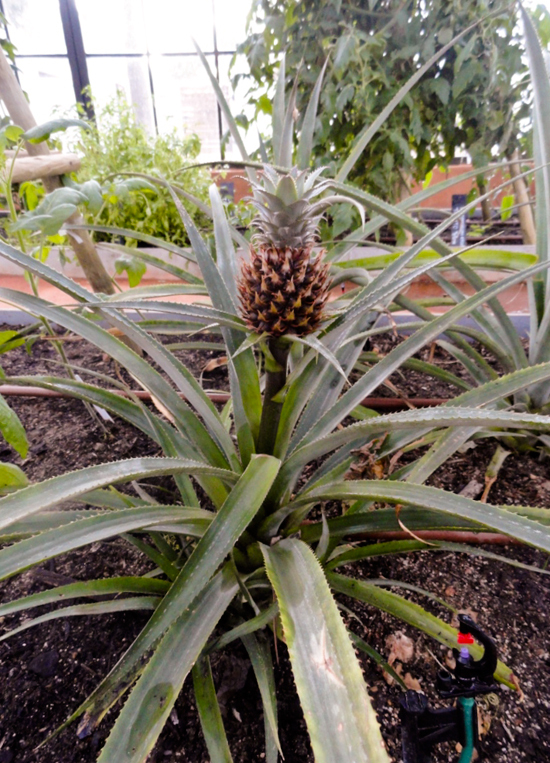 The greenhouse is not only home to our tea garden, but it is also part of our working garden, housing plants that can be difficult to grow outside, like pineapples. Interestingly enough, we find that pineapples do better here with less water. They prefer a summer rainfall, and the greenhouse helps us keep them away from the Cape’s chill and winter rains. We’ve already harvested some beautiful pineapples, and only have one left on display, as it’s taking its time to ripen.